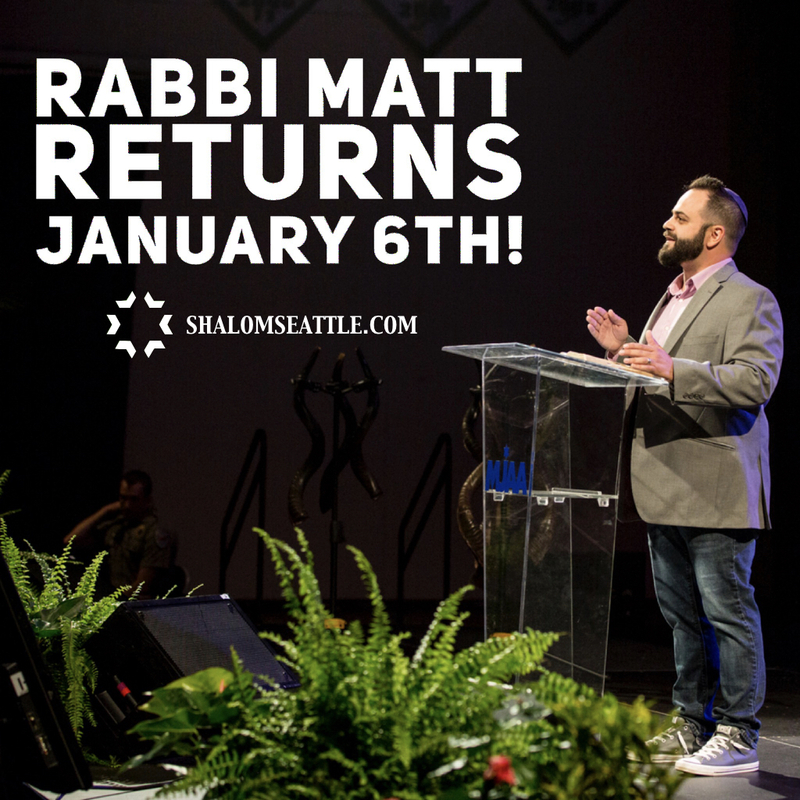 Rabbi Matt Returns January 6th! From Rabbi Matt: This sabbatical has been an amazing experience and I am so grateful for the opportunities these three months afforded me and my family. To spend five weeks in Jerusalem with my family was more than incredible. We were able to celebrate both Yom Kippur and Sukkot in Jerusalem and this was a dream come true for me. To take my children to the locations of some of our favorite Bible stories built family memories that we will talk about for the rest of our lives. So many friends in Israel asked “are you guys moving here?” Laura and I responded in unison “absolutely not!” We have have far to much to do in Seattle! I have read several books for the nourishment of my own soul as well the beginnings of writing a book on the Jewish context of Yeshua, Peter, Paul and the New Testament. Writing has been both difficult and fulfilling and will continue into 2018. I can’t thank my friend and partner in ministry, Aybars Uckun, for leading these three months and by all accounts he has done a fantastic job. Our whole leadership team and wonderful volunteers have done such a great job growing our community during my sabbatical. To say I am stoked to return would be too much of an understatement because I cannot wait to get back and lead our Synagogue into the next 7 years. I believe the best is yet to come for Restoration, the great city of Seattle and all that God is going to do through us in 2018. I can’t wait to preach my first sermon after 14 weeks on the first portion of Exodus. Invite some friends and join us on January 6th. Happy Holidays, Happy New Year, see you in January! 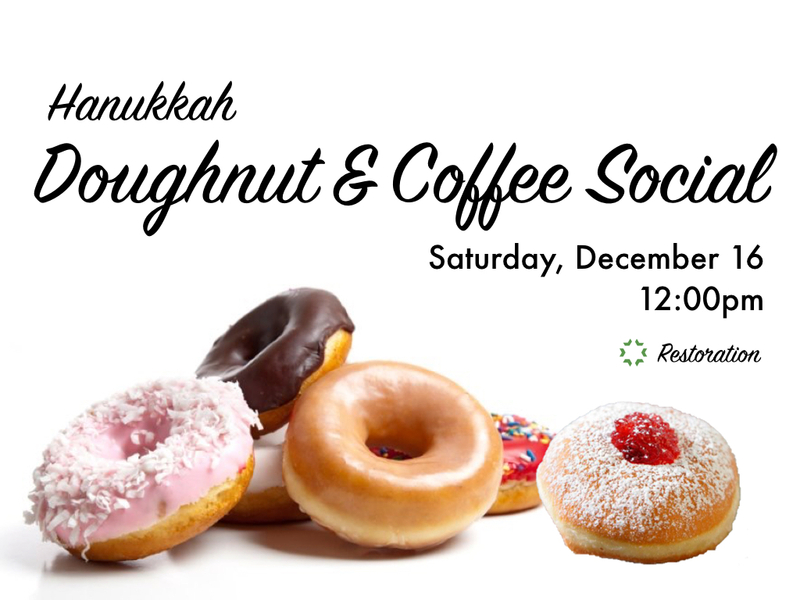 Join us for a special time of fellowship on Saturday, December 16 at 12:00pm as we celebrate Hanukkah together in the lobby with coffee and doughnuts! Miqedem, a band based in Tel Aviv, Israel that plays original music with lyrics taken from the Hebrew Bible, is working on their second album. 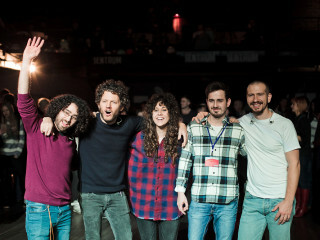 We love Miqedem here at Restoration - you may have gotten a chance to see them when we hosted a concert here last spring. They are raising funds, and we wanted to let you know of this opportunity to bless them and support the recording of their album. If you love their music and ministry, consider contributing! The Women's Connect Group will not be meeting this week, October 18. They will be back to their normal schedule the following week on Wednesday, October 25. The location of the Mill Creek Connect Group will be changing beginning October 16. It will be meeting on Monday evenings from 6-7:30 at the address below. If you haven’t been able to make it thus far, we encourage you to come. There are only four more weeks left in our quarter. Hope to see you there! Puget Sound Christian Clinic will be offering a CPR class in October or November. The cost will be $45. It is the BLS version of CPR for healthcare providers, is authorized by the American Heart Association, and the class will be held at their clinic location here in the North Seattle Church/Restoration building. If you are interested, or if you have more specific questions, please contact Candy McDonald directly at candym@pschristianclinic.org to let her know of your interest as soon as possible so preparations can be made on an exact date for the class. The Pregnancy Resource Center in Everett has immediate openings for Administrative Volunteers! Duties include answering the phone, welcoming clients, completing client-intake and client-exit paperwork, making reminder calls for upcoming appointments, and assisting in the Baby Boutique when needed. Currently there are 4-hour shifts open for Wednesday, Thursday, and Friday. A one-year commitment is preferred. Contact Emma at Emma@RealChoices.com or 425.339.2175. The video will be played in our service for Yom Kippur on September 30th. Shanah Tovah (Happy New Year) and my we remember those we have loved and lost. 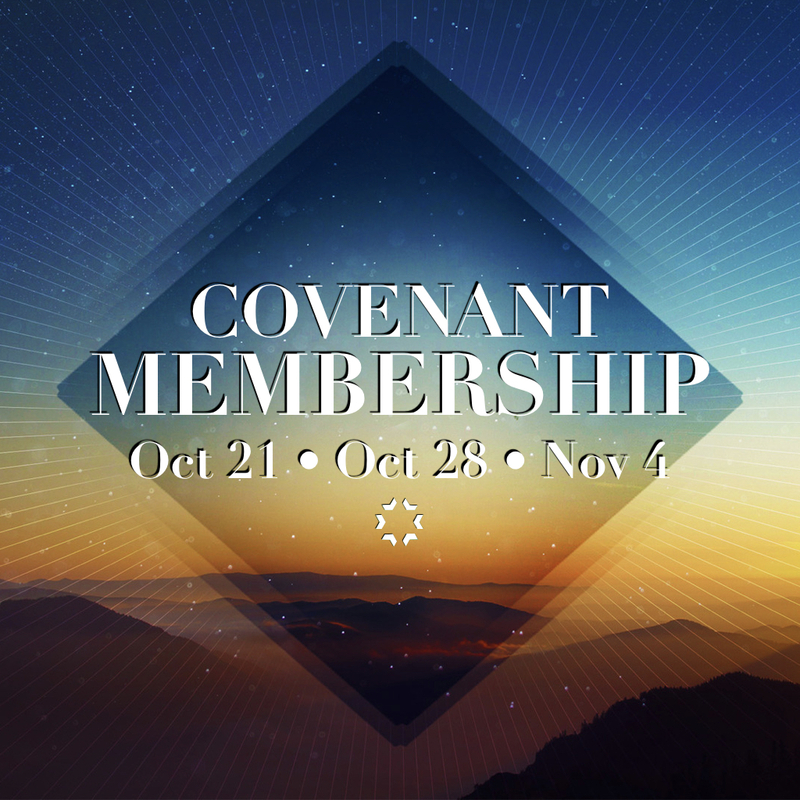 Covenant Membership Sessions Starting Soon! 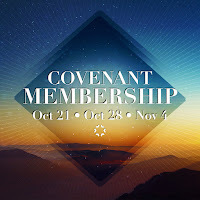 The Restoration Covenant Membership Series is an opportunity to come and see what membership is all about. Throughout this three-part series you will learn more about the theology that serves as the foundation of our synagogue. We will be expanding on the nature of covenant membership, the responsibilities, and the benefits that come from individuals uniting as members of one body. Finally, we will discuss what it means to participate in the community as a covenant member, and how you can connect with others who are committed to journeying together here at Restoration. At the end of the series, you will have the opportunity to decide if membership is right for you. Those who choose to join as covenant members will complete a spiritual gifts inventory assessment and have an interview with an Elder to better understand what gifts you have and how we can support you in becoming a fully devoted follower of Yeshua. You are not obligated to become a member and, ultimately, we hope that this series will be informative for all who attend and we encourage everyone who is interested to come. Join us for the sessions on October 21, October 28, and November 4! On Yom Kippur we remember loved ones we have lost. If someone has passed away in the last year or you are new to the congregation and would like to add your loved one to the remembrance video that will be played during the service on September 30, please give this person’s full name and a picture of them to Rabbi Matt by Monday evening, September 18. You can email a name & picture to info@shalomseattle.com, or give a physical photo to Matt this Saturday. 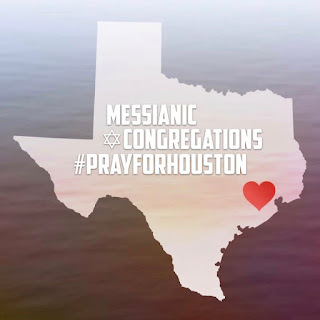 At our Shabbat gathering on September, 2nd, we will receive an offering for Messianic Congregations in Houston. 100% of the money designated for "Houston Messianic Congregations" will go to help people in messianic congregations in Houston. If you would like to give to this fund, above your regular tithes and offerings, you can write a check to Restoration or you give cash in an envelope and designate it for "Houston" this Shabbat. If you would like to give online or through the Restoration App use "Houston Messianic Congregations" in the drop down menu. Click here to give now! There are a few messianic congregations in the Houston area and many people have had floods, fires and various other hardships this back weekend with Hurricane Harvey and weather that followed. We can help! Please pray and ask the Lord, how much should I give? We have joined a growing group of over 11 Messianic Congregations who are supporting our friends in Houston. See you on Shabbat! As our past seven years have played out together, I’ve learned of other pastor/shepherds who have hit crisis points in their lives and had to go into crisis mode to address it. While I am not at the point of burnout, I’ve been listening and wanting to learn, recognizing that I am, in no way, exempt from the possibilities that led to my colleagues’ situations. 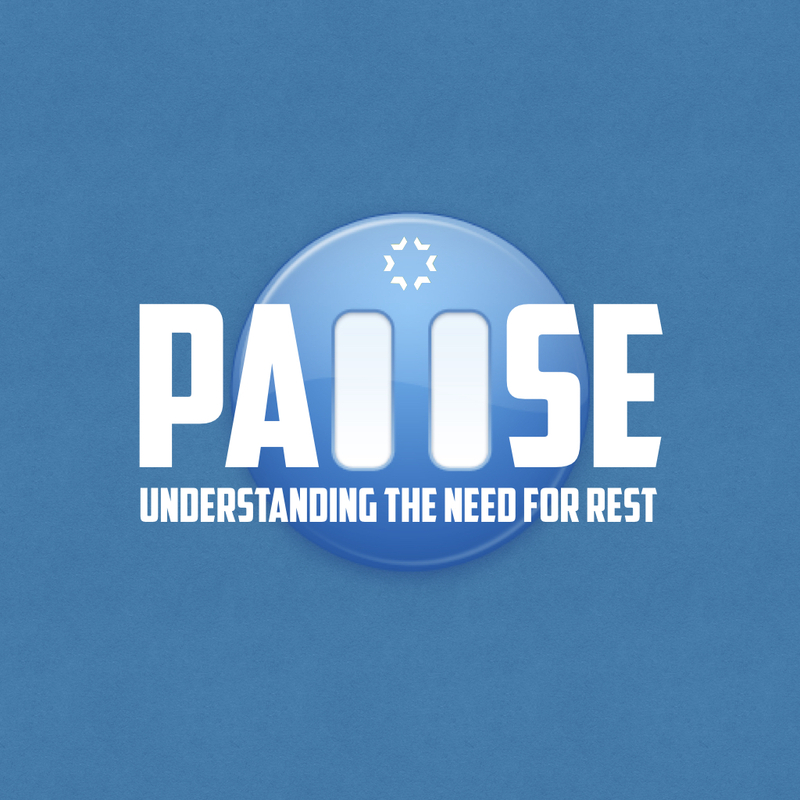 I have been strongly encouraged by many leaders in my life to consider times and seasons of rest and renewed investment into self, and I want to let you know that I, with the blessing of the staff and board of our synagogue, have decided to take a sabbatical of fourteen weeks from September 23 to the end of December. Our board has been planning and discussing this sabbatical for the last three years. We have been preparing and seeking God as to how it would work and what it would look like. I want to be among you as Rabbi for a long time. Seven years in, I want to at least double our time together. I love you and want to walk with you. The truth for any of us is the truth of my life: we belong to the Lord Yeshua, and we are called to obedience. With that in mind, my life is not my own, but I’ve told the Lord that I would love to stay on mission in his kingdom at Restoration for many more years to come. And we want those years to be healthy. So I take this sabbatical as a release to the Lord for more to come, believing that there is an expansion coming both personally and corporately. Here’s the truth: I have so loved walking among you for seven years that I want to do everything in my power to be ready for more. It has been said, “A ministry sabbatical is a release from the routine of the call for the physical, emotional, spiritual, and intellectual well-being of the ministry leader.” And I am hoping for God to do more than I can imagine with this time. It started with my family coming to lead Beit Messiah seven years ago and then our name change and replanting of Restoration almost four years ago. I have come to love the city of Seattle and I love what God is doing in our congregation. I believe that in this past year our leadership has made some serious strides to prepare our synagogue for unprecedented growth. I am convinced that a time of rest, renewal of relationship with Yeshua, deepening of my roots, time with my family, and time to write will help prepare me for the next phase of ministry. What will I do in my time away? The sabbatical will begin with four weeks with my family in Jerusalem, which will include Yom Kippur and Sukkot. I am very excited for this opportunity for my family to celebrate the High Holy Days in Jerusalem, a commandment in the Torah, and help my family grow in our Jewish identity as followers of Yeshua. Following our time in Jerusalem we will spend two weeks in New York with my parents, which lets be honest is mostly for pizza and bagels. The rest of the sabbatical will be in Seattle with one trip for Laura and I away from our children and a trip by myself to be with my best friend in Philly. We will not attend Restoration during this time but will participate in a variety of other congregations for our edification as a family. For the majority of the fourteen weeks, I will spend the mornings writing a book on the Jewish context of Peter and Paul in the book of Acts from the series I preached recently. I also have several books that I will be reading on rest, spiritual growth, and healthy leadership during the sabbatical. There are several leaders in my life that I will remain accountable to during my sabbatical and I hope to have made some serious progress in writing, hearing God’s voice, dreaming for the future, and listening to the Holy Spirit. What will Restoration do in my time away? I am excited for Aybars Uckun to lead our synagogue during this time. Aybars has proven to be a faithful follower of Yeshua, a devoted husband and father, a constant encourager, and an excellent preacher of the Word of God. This experience will be an incredible opportunity for Aybars to grow as a leader. Please trust him, love him, and help him serve the Lord to the best of his ability. The board of Restoration along with Aybars will not make any major decisions without me during this time as our budget, preaching, and ministry plans will be set for 2018 before I leave at the end September. Starting after the High Holy Days we will begin a year of following the Torah and Haftarah cycle. Aybars will preach three different series through the book of Genesis. When I return in January we will go through the book of Exodus and will continue through September of 2018 going through the Torah readings. If you are not familiar with the Torah cycle, you can look it up on the Restoration app by clicking on the “Torah Readings Tab.” We will also have paper copies of the yearly cycle available after the High Holy Days at the Connect table in the lobby. To help Aybars do more than just preach during these 14 weeks, we have invited four local pastors to speak, between series, into the life of our congregation. These four pastors - Chris Manginelli, Matt Elser, Brad Barshaw, and Mike Labrum - are trusted friends and excellent preachers, and they have agreed to speak into the life of Restoration in this season. Let me say again, I am not burnt out and I am not leaving Restoration. My desire and prayer to God is that I will be in Seattle, in ministry, for a very long time and this sabbatical is a preventative measure to keep me in ministry for many years to come. I love you and I am grateful to God for calling me, like Abraham, to leave the land of my fathers (New York) and come to a place I know not (Seattle). 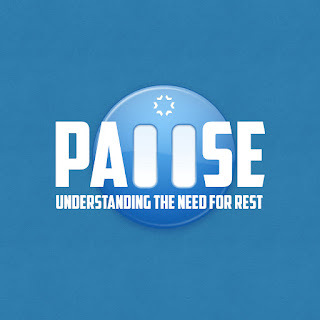 It will be difficult to disconnect for these 14 weeks, but I am believing that God will renew me in a fresh way that can only come from disconnecting from the pressures of doing ministry, so that I can be ministered to. I invite you to pray for me, as I will continue to pray for you, during this sabbatical. Please be in prayer for Aybars and our board as they take on more ministry in my absence. Also, pray for our community that God will encourage us and renew us for the next season of what we hope will be a time of significant growth. Pray that we will see many people, Jew and Gentile, come to know Yeshua and learn what it means to become fully devoted followers of our Messiah. As a side note, I am hopeful that the NBA and the Supersonics will return to Seattle soon after my sabbatical, and we can all join in prayer for that! Can I get an “Amen!” (don’t try to crush my dreams). This I know for sure: the best is yet to come for our synagogue, and more than ever, we are better together! I love this family that God has given me and I can't thank you enough for your support in this time of rest, renewal, and writing. 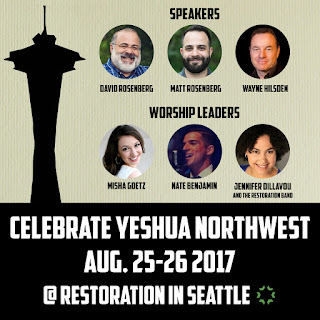 Celebrate Yeshua Northwest (CYNW) is a free annual mini-conference of Restoration in Seattle, serving the Pacific Northwest. Our goal is to bring some of the best from the worldwide messianic movement to help Seattle celebrate Yeshua our Messiah as King, Lord, and Savior. The conference includes three messages with a focus on Romans 9, 10, and 11, and what God is doing among the Jewish people, the body of Messiah, and the messianic movement. Come and spend a couple days with us - click here to register! Worship with Misha Goetz, blessings for Shabbat, and a message from Rabbi David Rosenberg. Doors will open at 6:00PM. Shabbat Gathering featuring Jennifer Dillavou & the Restoration Band and Rabbi Matt Rosenberg. Doors open at 10AM. Worship with Nate Benjamin, a message from Wayne Hilsden, and Havdalah. Doors will open at 5:30PM. I wanted to fill you on some leadership changes at Restoration. After 5 years as a board member and Elder, Dan Behrens decided to step down because of the distance that he and his family drive to be a part of our congregation. It became increasingly difficult for Dan to fill his role as an Elder because he could not participate in a Connect Group or meet with people during the week. We are so grateful to Dan for all that he has done for our community. We are all in agreement that stepping down as an Elder was best for his family and for Restoration. Our goal is to always have at least five people on our Board of Directors, with a higher number of lay leaders than staff members. Aybars Uckun and myself will remain as Elders and staff of Restoration. Kelly Uckun has been serving as our Treasurer & Secretary since January. She is doing an amazing job performing other executive functions as needed and keeping track of the congregation's finances as well! In April, we asked P.K. White to rejoin our leadership as a Board Member in a transitional role. He will serve in this capacity until January of 2018. We are glad to welcome him back and are grateful for his commitment and for his servant's heart. In May, Janet Cothrell joined us as a Board Member until at least January 2018. Janet is a great addition to our team and has been a faithful and committed member of this community for well over a decade. Her wisdom and practical counsel are a blessing to our Board. These additions will ensure that we will continue to meet the standards we have set for the Board and help us to fulfill our mission, to lead people to become fully devoted followers of Yeshua. Please pray that each of these leaders and their families experience God's provision, protection, and divine wisdom. I have no doubt that the best is yet to come for Restoration! Yeshua is alive and we have much to celebrate as we press into the work God has called us to. We are really excited for this summer and coming fall and believe in the months and years to come Adonai will bless our community by bringing growth to the number of families that attend and our congregation's finances. Growth in these two areas will continue to help our community be a blessing to not only our city, but to Israel and the rest of the world as well! We believe God has incredible things in store for all who are connected to our synagogue. If you have any questions please feel free to contact myself, Aybars, Kelly, PK or Janet. We love our synagogue and all that God is doing here! In Masvingo, Zimbabwe at a medical clinic with Jewish Voice Ministries International (JVMI) the extraordinary happened, again. This was my fourth medical clinic with JVMI, and honestly it moved slower at the start than the previous clinics I had been on. By Wednesday night I had resigned myself to not having a single amazing moment. For context, on my first trip sang the Aaronic Benediction over 700 Ethiopian pastors in the old African Union in Ethiopia and then again over 1500 people in the new African Union. Amazing. On my second trip, I preached the Gospel to an entire Beta-Israel village near Tach Gayint, Ethiopia and saw the whole village come to faith in Yeshua. What?! Ridiculous. On my third trip, this time to Zimbabwe, a young woman came with manifestations from a demon that would confuse her so much that she would go into a type of walking sleep and wake up lost; once, she woke up to find herself standing in a fire, her foot and leg burnt as a result. She came to the clinic clearly manifesting without control, and in the power of the name of Yeshua we were able to set her free. I had the chance to lead not only her, but her extended family to Yeshua, her father saying the words at the end, “We will follow the God that set her free from this demon.” I know, it sounds like a Bible story! Why does the Lord let me experience such amazing things? I am not sure, but I am grateful for the opportunities He gives me. On these trips, we open the clinic on Sunday afternoon (half day) and close them at noon on Friday (ends with a half day). Altogether the clinic is open 5 full days, so by the time we get to Wednesday night there is only a day-and-a-half left and we begin to finish the clinic. So, on my fourth trip, again in Zimbabwe, we came to Wednesday night. Based on history, I expect at least one major thing to happen. Don't get me wrong - I am not saying that this is the way it has to be, and I try to bring no expectation of what will happen on these trips. But at the same time, I live by the promise that God will do more than I can hope or imagine, and if you know me at all you know I can imagine pretty big. I will sing to Adonai, for He is highly exalted! The horse and its rider He has thrown into the sea. Adonai is a warrior—Adonai is His Name! I will overtake, I will divide the spoil. My lust shall gorge on them! You blew with Your wind, the sea covered them. Who is like You, Adonai, among the gods? I shared these verses at our morning meeting to encourage everyone to finish well. I wanted them to know that though the people we were ministering to were facing despair and darkness, the God of Israel wanted them to experience hope and light. That we came not just to help them physically but to show them Yeshua, and much like Israel crossing the Sea of Reeds we had already seen God do amazing things and that we can believe that in our last day-and-a-half in Zimbabwe our God was willing to do more than we can hope or imagine. I preached hard. I preached well. I needed to hear it myself for what was about to happen that afternoon. We offered them prayer, two by two, and the opportunity to accept Yeshua and to ask him to forgive them of their sins. All twenty three prisoners chose to believe in Yeshua. Several of them asked for a Bible and we told them we would send them and that the Bible is not just a book but, if they read it, the Holy Spirit would bring the words to life and set their hearts, minds, and souls free. Even the officers accepted prayer from us as a group, and asked that if we were sending the prisoners Bibles that we send them for the officers as well! More than I can hope or imagine?! You better believe it. I don't plan these amazing moments on these trips but my God does. He just asks that I show up and trust Him. It is not even just about the one big moment, it’s about the amazing doctors, dentists, nurses, international volunteers, and local workers that make it possible to help over 9,600 people, to pray for 2,399 people, to see 322 people come to know Yeshua, and to see at least 18 verifiable healings in the name of Yeshua. We saw with our own eyes the lame walk, the blind see, the deaf hear and in this case at least 23 prisoners set free! The one big moment is my God’s way of putting a giant dollop of whip cream on top of the sundae. Back in Seattle, I made a joke in a group of pastors that for some reason my ministry is more effective in Africa than in Seattle, and then I went into a few-day funk because, momentarily, I believed it. It took me several days to come around because I believed that lie. Ministry that I do is effective, not because of me, but because of the God I serve. Here is what I know for sure: my God does more than I can hope or imagine - in Africa, in Israel, in America, in Seattle, in my congregation, for my family, my marriage, my children, their school, our friends. My God wants to pull people out of darkness and despair and show them light and hope in the name of Yeshua. He wants to use me and YOU to do it. And if given the opportunity, He might just change your life, increase your faith, and allow you to do amazing things for His glory! Without doubt (okay, maybe enough doubt to give God room to do amazing things), I can say, “The best is yet to come.” For me, my family, Restoration, Seattle, Messianic Judaism, the larger body of Messiah (Church), and anyone from any nation, Jew or Gentile, who calls on the name of Yeshua! Celebrate Yeshua Northwest is an annual mini-conference of Restoration in Seattle, August 25-26. 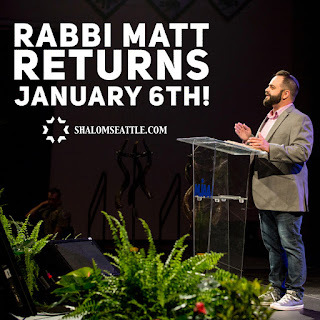 Our goal is to bring some of the best from the worldwide messianic movement and larger Church to help Seattle celebrate Yeshua our Messiah as King, Lord and Savior. We are excited for our lineup this year and Celebrate Yeshua Northwest is a free mini-conference serving the Pacific Northwest. Come and spend a couple days with us! We are not a synagogue with connect groups. We are a synagogue of connect groups. Community happens when people meet in small groups to study, pray, eat, and hang out. If you want to dig deeper into community, a connect group is a great place to start! You can get specific information about each group at our Shabbat Gathering every Saturday, or contact our office at info@shalomseattle.com or 206-232-0490. 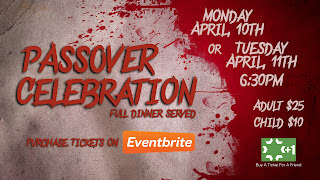 The last chance to buy tickets for our passover seder is Wednesday, April 5th. That means if you are hoping to buy them in person this Saturday (Not an April fools joke) is your last chance! Or, you can call the office today (Thursday) or next week (Monday-Wednesday) and Emily Kennedy can help you purchase tickets over the phone. Don’t miss out and take this last opportunity to donate a ticket for someone who cannot afford to come. This will be the 3rd best seder of all time because the best is yet to come! This year we are having two seders. The first is Monday, April 10 at 6:30pm. The second is Tuesday, April 11 at 6:30pm. They are the same event so choose which one you would like to attend and register! Please make sure you are on the night that you would like to register for. Tickets are available through Eventbrite with the link at the bottom of this event post. Tickets will also be on sale at our Shabbat gatherings every Saturday until tickets are sold out. Every year we celebrate Passover together with a full sit-down meal. We go through the order of service (Seder) and celebrate all that God has done for His people, Israel, and for everyone from every nation that calls on the name of Yeshua (Jesus). Passover is the celebration of God freeing our people Israel from slavery in Egypt. As a Messianic Synagogue, we also celebrate the death and resurrection of Yeshua our Messiah (both events took place during Passover). There is so much to celebrate because the God of Israel is not only awesome but He is also the Only God! So, join us this year. If you are able to buy a donation ticket for someone who cannot afford one, that would be wonderful! We do our best to keep the price low for the event so an offering box will be at the check-in table if you are able to help us meet our cost to put on these events. This is going to be the best Passover ever! Don’t miss out on one of the best events of the year. This is a +1 event, so buy a friend a ticket and invite them to join us! 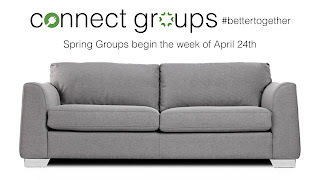 Winter Connect Groups begin next week and I want to encourage you to jump in and join a group. It is only an 8-week commitment and it will add real community to your life and encourage you more than you can imagine. As in past semesters, some of our groups will work off of Saturday sermons. When we write sermons we spend somewhere between 10-20 hours on them, and the life cycle of our congregation functions through our sermon series. It is a great way to connect with people in our community and on a deeper level with God. These are also great groups to invite friends to who don't yet know Yeshua! We have a specialty Connect Group that studies the traditional Jewish readings from the Torah for each Saturday. It is a great opportunity for study and connecting with like-minded people at Restoration. It is very convenient as this group meets on Saturdays in our building following our Shabbat Gathering. 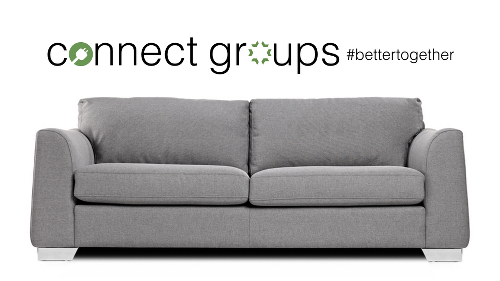 This winter semester we are adding Connect Groups specifically designed for men and women. These groups will use a video-based Bible study and will be totally different in context than the other groups. So if you are able, you can participate in a few different groups in one week! You can get specific information about each group at our Shabbat Gathering every Saturday, or contact Emily Kennedy in the office at 206.232.0490 or info@shalomseattle.com. These groups are going to be awesome. You are designed for community and we are better together. Join a Connect Group this winter semester! Yeshua is still Alive. For me this is what I have staked my whole life on. Yes, he was killed. Yes, it was bloody and brutal. Yes, he offered himself, no one took his life. But three days later he rose from the dead. Bottom line I'm sticking with the only person to ever die, come back to life and never die again. There are plenty of things to be afraid of but I don't want to be afraid. There are plenty of things to stress about but I don't want to live in anxiety. Yeshua offered himself for people who need a savior not for those who are convinced they don't need one. He came for the sick, the marginalized, the ones who don't belong. He came so that we can meet him and want to be like him. He doesn't need you to change before you meet him. But you will be changed after you meet him. Don't be afraid, don't be anxious, trust in the one who died, rose from the dead and still lives!